Last week a powerful windstorm blew through the Midwest. Paul was in Italy. And I was not. I was home writing a grant. Watching trees practice yoga and stretch into a horizontal position to avoid being uprooted. 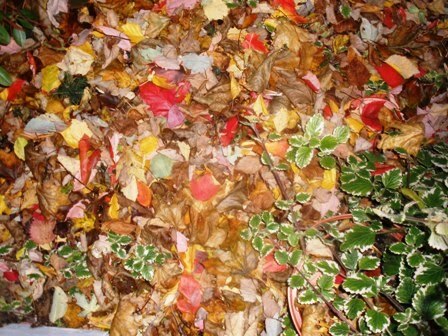 Waching leaves declare victory as they claimed the ground for Mother Nature. They were now rulers of grass and asphalt. Paul was in Italy sampling cheeses and pastas. Drinking wine. Singing "O sole mio!" Oh! And working. 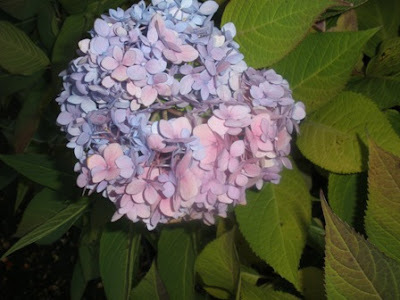 In a more earthly vein, I was also rescuing the last of the hydrangeas. The first night the winds found their power at 60 mph, the kids were in evening labs. And I was out teaching. Soaring debris thudded people, cars and windows. Nobody was home to create the hot meal. But substantial salads had been arranged to carry everyone through the busy week. 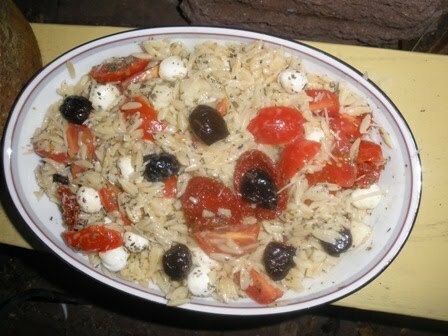 Grains, orzo and barley all greeted the family who had been blown hither and yon. 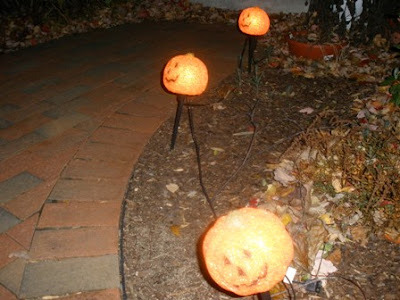 We all returned home late under a watchful moon. Looking for land as a sailor might after weeks adrift at sea. All of these salads can be made ahead of time and are winning choices for lunch the following day. 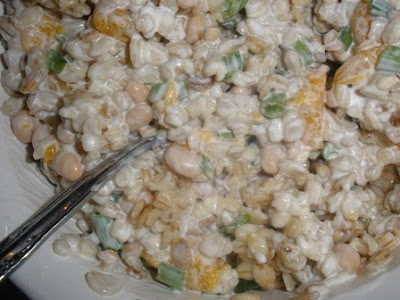 The salads were inspired and adapted from Jennifer Darling's Quick-Toss Salad Meals. I changed dressings, produce and amounts to suit what was in my pantry and you should do the same. This was a "meatloaf" salad minues the meat. Stick-to-your-ribs, roasted sweetness and nutty rice. Roast your broccoli for 15 minutes in a 350 degree F oven. You could toss with a wee bit of olive oil and salt and pepper or roast plain. In a small dry skillet, toast your almonds. 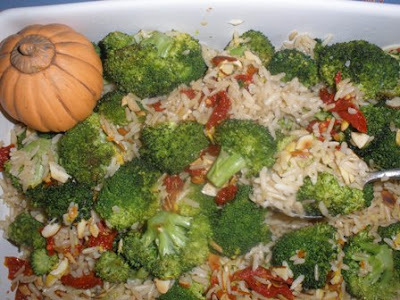 Cook your rice and combine with broccoli, sun-dried tomatoes and almonds. Whisk oil, vinegar and mustard together (or simply use your favorite vinaigrette) and pour over all. Cover and store in fridge. Can be eaten at room temperature, warm or cold. Barley in all its earthiness tossed with creamy yogurt for tang and cream. Toast barley in large, dry skillet till lightly browned - 3-5 minutes. Then cook barley in chicken broth according to package directions. Cool. Toss with beans, oranges and scallions. In a bowl whisk yogurt, lemon juice, crushed pepper and dry mustard. Toss with barley. Cover and refrigerate at least two hours. Best served chilled or at room temperature. Chicken salad goes to the ball. Combine chicken with oranges, celery and water chestnuts. Whisk yogurt, soy sauce and curry powder in small bowl. Pour over chicken salad mixture and combine well. Cover and chill for at least 2 hours. *Optional: 1 tablespoon dried Italian herbs or fresh chopped Italian Parsley or basil or thyme. I always use alotmore than one tablespoon of any herb. Cook orzo according to package directions. Rinse with cold water. Toss with both tomatoes, mozzarella and provolone. Toss with vinaigrette. Scatter Parmesan and herbs. Toss again. Cover and chill for 1-24 hours. I poured a glass of wine. Found a slice of salami, errant kalamata olives, leftover crumbled sharp Provolone and sat down and admired the hydrangeas. While noshing. 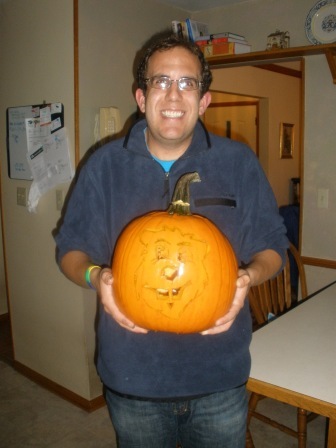 My thoughts turned to the "adolescent arts learners who through participatory creation would have a life enriched by metaphor and simile...." and thought,"the grant could wait." As the winds blew my imagination to Italy. To buy little children and take them away. A nickel each for mean ones. To buy little children and lock them up tight. A dollar for the meek ones. Eleven cents for sad ones. It won't do any good to cry. Happy Halloween all! 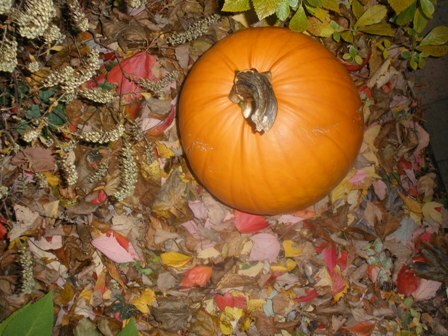 May your eve be laden with autumn-sweets and your door be welcoming of wee witches and tiny, wide-eyed ghosts! Things change. And that's good. For if I didn't leave New York City, I never would have met Paul. 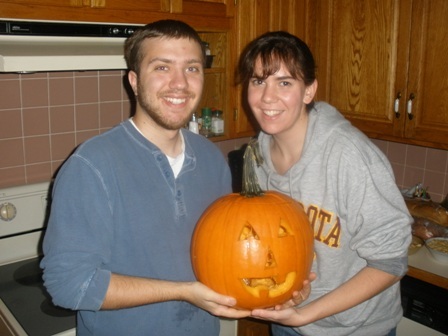 We never would have had Matthew and Kirsten and acquired an array of pets rescued from shelters. I play that game often, "If I didn't leave New York...." or "if I didn't take that job I hated... " (where I met Paul). The roads that bisect, twist and turn constitute a life. And it's a better game than regret: "If only I did .... this... instead." 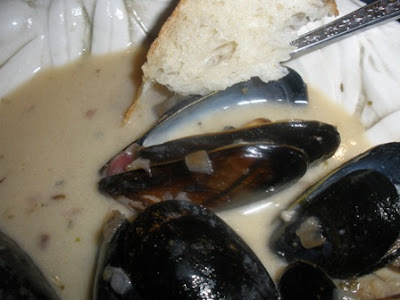 And the joy of mussels - aside from the slurp, chattering shells and the briney taste of the mussel meat surrounded by the velvet broth of herbs, wine and butter (I do go on) - is you can create it at home. You don't need to go to NYC to find the restaurant that is likely no more. You can create your own life-altering experience in the kitchen. Which I know must of you do on a regular basis. And things have changed. The 20-something young woman has aged and the buttery broth is created with vegan butter (Earth Balance). The mussels were sacrificed but the flavor wasn't. 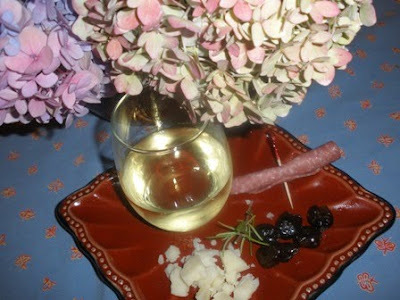 The wine and herbs give a nod to Italy. And the vegan butter - is a sweet nod to France (although the French may shudder at the notion of vegan butter). 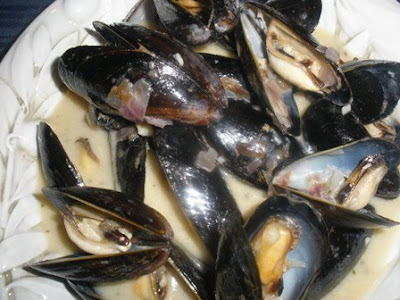 Perhaps this mussel recipe is served right on the border between France and Italy. Border guards smacking their lips with mussels while arguing which country produces the tenderest mussels. A fun thought. 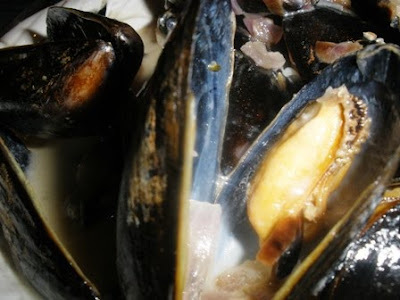 *If you do not cook with wine, substitute clam juice or vegetable broth or fish broth instead. I love the sweetness of the wine sauce. 2 pounds - scrubbed and debearded. You want them tightly closed. Discard any that are cracked or open. If they're just a wee bit open - tap them lightly with your finger. They should close and if they don't - discard them. Can you see them just chattering? 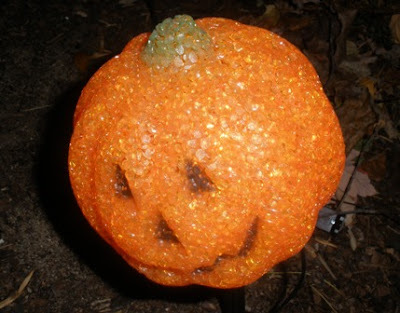 Really, it could make for a spooky dinner on Halloween. In a large skillet or saute pan, heat olive. When hot - but not sizzling, saute onions and shallots until soft and translucent (5-6 minutes). Add garlic. Saute 30 seconds. Add wine and bring to a simmer. Swirl in butter. Whisk till all is combined and melted and velvety rich. Add herbs and simmer for 4-5 minutes. Add mussels. Stril until all are mixed in the broth. Cover and simmer for 8-10 minutes - until all are wide-mouthed and opened. 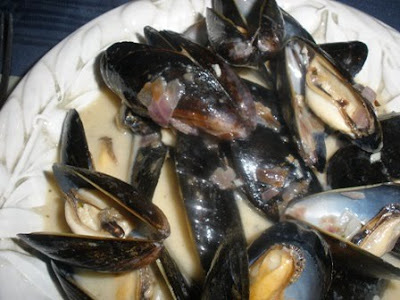 Discard mussels that don't open. 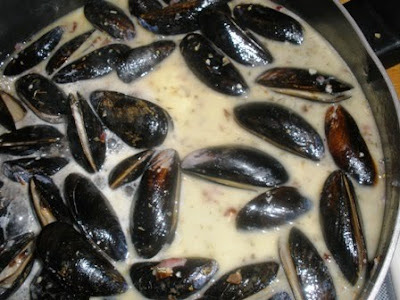 Ladle mussels into bowl and pour the broth over them. Serve. And the bread - did I mention the bread? You'll want some crusty bread to mop up all that lovely sauce. It's as good as I remember from the olden days. Some things change and that's a good thing. Some things don't change and that's also good. Does every pasta shape require a special sauce? Chef Jacob Kennedy thinks so and sets out to prove his theorem in The Geometry of Pasta. 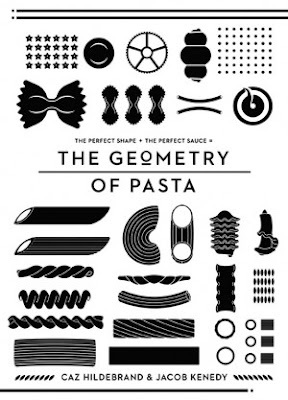 Little hats, wheels, corkscrews, shells, ears and ribbons adorn the pages of The Geometry of Pasta. Written by Chef Jacob Kennedy with almost art deco illustrations by Caz Hildebrand, this cookbook published by Quirk Books delivers a smorgasbord of pasta dishes from A (Agnolotti) to Z (Ziti). There's pasta for every day of the year and then some. For an Italian cook, that is good news! Kennedy has done his research - giving you the history of the pasta shape, the region where it was developed and the perfect accompanying sauce that will succulently grab the sauce and never let go until it reaches your palate. The majority of the sauces are quite simple relying on the freshest ingredients to enhance the pasta. Fanciful cappelleti ("little hats") are paired with butter and sage or asparagus and cream. 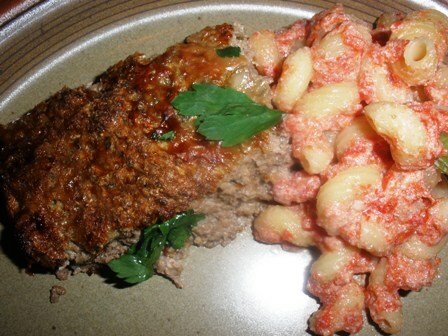 The larger, tubular maccheroncini takes on heartier sauces: chicken and prunes or eggplant and tomatoes. From the simplest dish (cacio e pepe) to stuffed raviolis, the pastas are paired with seasonal produce, meats, fish and in many cases simple sauces that would be an elegant first couse. Directions for creating these geometric pastas are concise and to the point. Chef Kennedy serves up his pasta with anecdotes, opinions and a wry sense of humor. Autumn is a busy work time, so my meals have been on the simplistic side - without sacrificing flavor. The Cacio e Pepe (Pecorino and Pepper) was a huge hit. Comforting, earthy, peppery and snuggle-into-your-seats-your-home-for-the-evening warmth was in every bite. 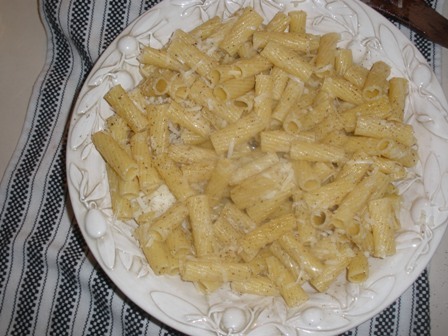 The pepper flakes and grated cheese were caught on the rigatoni ridges and inside the tubes. It's what you want. Boil rigatoni until slightly more al dente than you wish. Put the oil and half the pepper in a saute pan along with the 6 tablespoons of pasta water. Add the cooked rigatoni to the pan and saute for a few minutes - until the pasta water is absorbed. Serve the with pecorino cheese and remaining pepper sprinkled on top. There were no leftovers. Sigh. Served with soft lettuces and a simple vinaigrette, I did have everyone singing for their supper. Paccheri are huge thick tubes often cooked with a squid sauce. Paccheri is Neopolitan in origin and was considered a common, poor food. Paccheri was not readily available so I used one of Kennedy's substitutions: cavatappi (they resemble corckscrews) which grabbed the sauce well. Cut tomatoes into chunks and puree (seeds and all) in blender. Fry the garlic in 4-1/2 tablespoons of the olive oil for a few moments until cooked but not browned. Add the red pepper flakes followed by the tomato puree and salt. Bring to a brisk boil and cook until the sauce has thickened and the tomatoes no longer look raw. *Note: No time was given but it took about 10-12 minutes of boiling. Prepare pasta according to package directions. The sauce comes together very quickly, so wait until the pasta is in the boiling water before you begin the sauce. Put tomato sauce into a medium saucepan and bring to a boil. Transfer to a warmed bowl (I didn't do this - I did all in the saucepan which I removed from the heat). Add the cheeses and oil and whisk briefly. 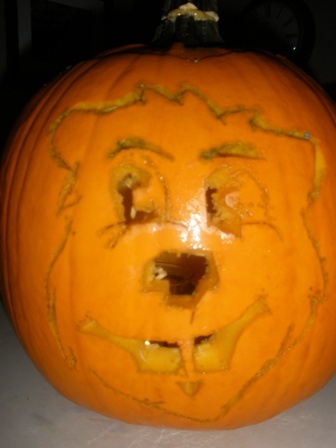 It will be rustic - it does not have to be completely smooth. Season with plenty of salt and pepper (taste as you go). Keep warm, balanced over the boiling pasta until it is ready (if you time it right you do not need to do that). Drain pasta and mix thoroughly with the sauce. Add torn basil laves. 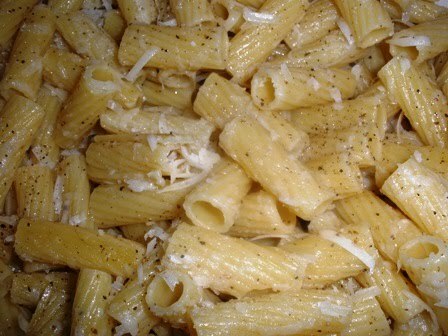 Feel free to grate with extra Parmesan or Provolone or ricotta or simply drizzle a little olive oil over all. Pretty in pink as a first course. This simple dish was a winner. The fresh tomatoes (still available in Minnesota) were necessary. An anemic tomato would not be flavorful enough. 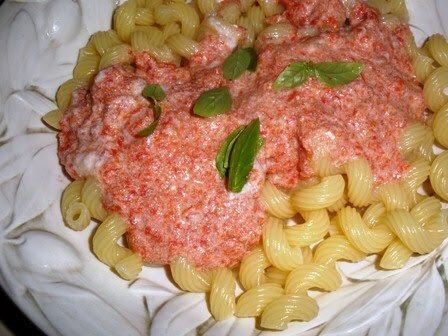 The sweetness of the tomato, the creaminess of the ricotta and the bite of the Provolone conspired to produce a dish rich with nuance. The sauce clung to the pasta and it was perfect fare for an autumn evening. If you are a novice, you might prefer a more detailed recipe: how long to boil the tomatoes, when to add the salt. If you are used to cooking according to taste, this would be a cinch. I do prefer actual photos of the finished dishes. Some of the illustrations do not entirely tell you exactly what the pasta looks like. The illustrations whimiscally charm but might confuse a novice cook. The high point of the book is its delving into the history of the pastas, the lore and accurately matching each pasta to its sauce. Nothing is more disheartening than preparing a sauce that simply slides off the pasta and lands in the bottom of the bowl! As someone who has spent her entire adult life playing "make-believe" in the theatre world, you can believe it when I say I am a certifiably allergic to math and mathematical terms. But one of the blessings of the mathematical world is - there is an answer. And that can be comforting. In The Geometry of Pasta - there are definitive answers: all pasta shapes are matched with their definite sauce. Disclosure: I was given a review copy of The Geometry of Pasta. I was not paid for the review - the execution of recipes and my opinions are my own. 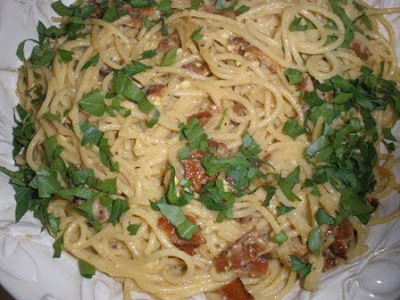 Spaghetti Carbonara - it's a classic. It's pasta's little black dress. Hold the cream, please. The velvety smooth coating is from the eggs and eggs alone. The eggs are insulted when cream is added. This is not a quiche. 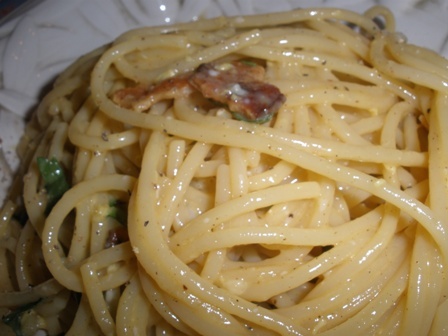 Carbonara is not Alfredo. They are not twins. Carbonara's origins are a bit murky. 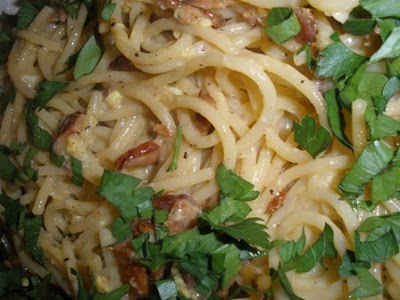 Because "carbonara" is derived from the Italian word for "charcoal," many theories abound. Some believe it started as a hearty meal for Italian charcoal workers. 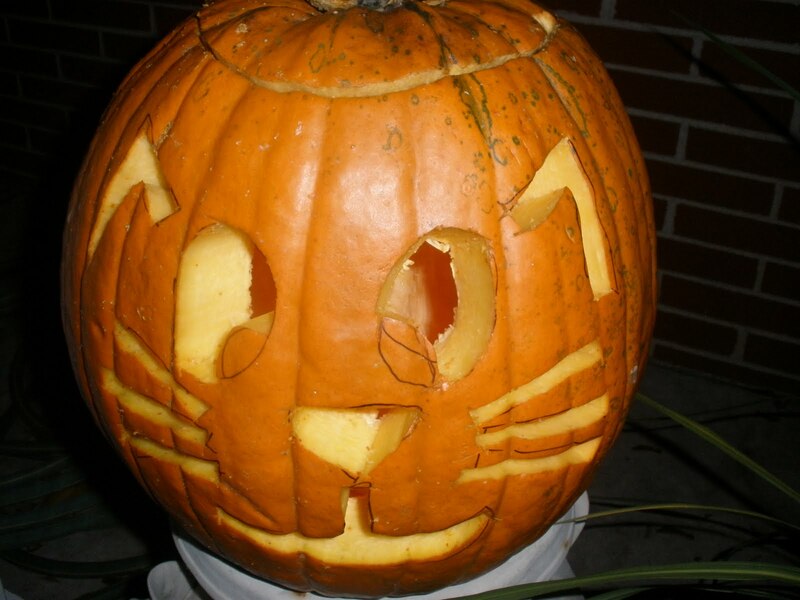 Others think it was originally cooked over charcoal. And yet another theory is that is the specks of black pepper and pancetta in the velvety pasta looked like little charcoals on the dish. When the opportunity came my way to cook a recipe from the culinary school at Baltimore International College, I pounced on the Classic Carbonara recipe. 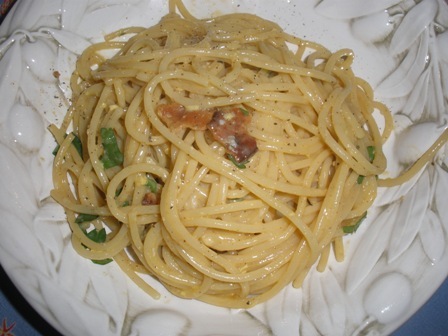 When I became engaged to my husband, my mother made carbonara for a welcoming dinner for his family. My sister and I made Bon Appetit's Fettuccine Carbonara (with a fried egg on top no less - really, the Easter Bunny applauded our egg consumption that evening) for my family a little while ago - it was a splendid meal. 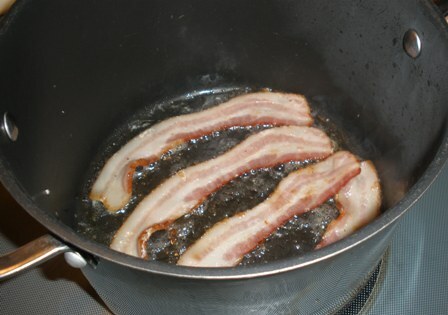 While the bacon sizzles, take note that the pasta will be thrown into a portion of the bacon grease and coated with it. The grease and pasta need to be hot - because your eggs will "cook" the pasta. That's right. You remove the pan from the heat (so you don't have scrambled eggs and pasta) and let the pasta do the cooking of the eggs. If you have a terror of salmonella, this may not be your recipe as it's the only way to do it. 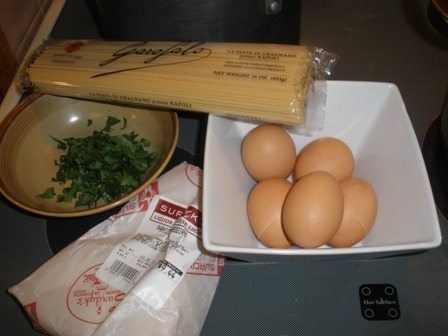 You must trust that the pasta will cook the raw eggs. And adding cream will not help. 1. 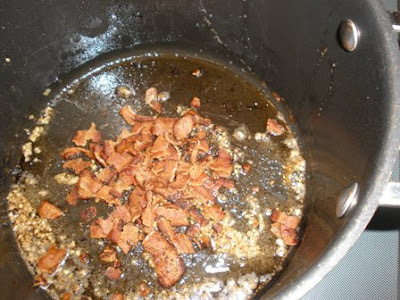 In a large saute pan (I used a Dutch oven - easier to hold the pasta), cook the bacon until crispy - about 6 minutes. 4. 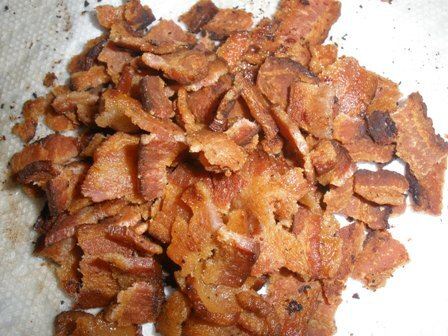 Remove bacon from pan and drain on paper towels. When cool, "crisp" them into millions of little pieces. 5. Drain all but 3 tablespoons of bacon grease. 6. Add garlic and saute for 30 seconds. Return bacon to the pot. 7. Add pasta to pot and swirl - coating it with garlic, bacon and yes - the grease. 8. Remove pot from heat (important or the eggs will curdle) and immediately add the eggs. 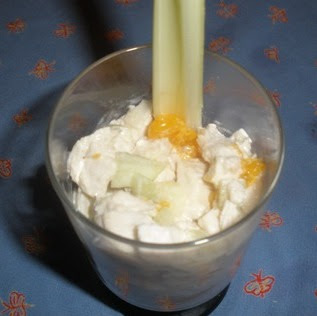 (Could also add some of the cheese into the beaten eggs and add it together). Swirl the eggs until the hot pasta is coated and cooking the eggs. 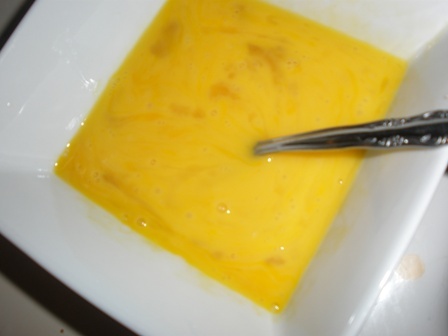 The rich, buttercup, velevty texture appears once the eggs are cooked. All is smooth and beckoning. 9. Add the cheese and mix in well. 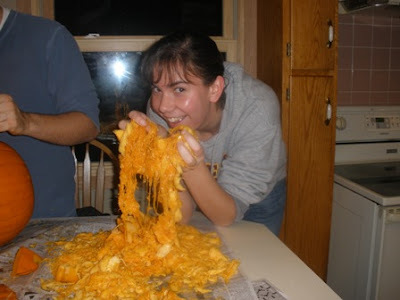 It is important that the cheese be freshly-grated. Freshly grated Parmigiano-Reggiano is so soft and billowy - you would never know it was from a hard cheese! 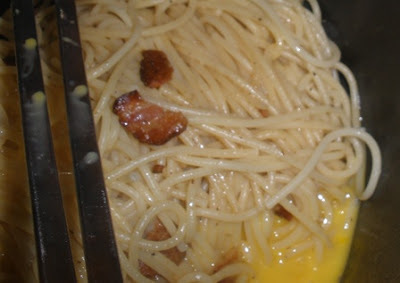 It quickly attaches itself to the eggs and melts into the pasta. The pasta coating becomes rich and vibrant. It begs for a taste. And so you must - for you now need to season the pasta. Taste and add salt and pepper according to taste (I rarely salt and I am generous with the pepper). 9. Put spaghetti in serving bowl and top with parsley (as stated I used a lot more than the recipe called for). Toss well. 10. Toss again. (And just to be sure - have another taste). This dish elevates bacon and eggs to an engagement dinner. The luxurious coating on the spaghetti is fit for a royal occasion. 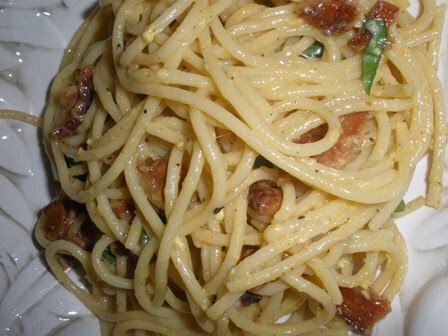 There's a reason Calvin Trillin wanted to replace the Thanksgiving turkey with spaghetti carbonara. 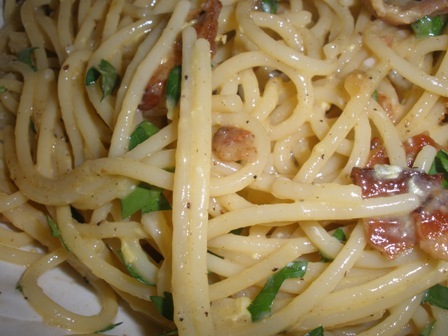 Trillin actually waged a campaign to have Thanskgiving changed to Spaghetti Carbonara Day. And Mr. Trillin never had cream in his carbonara. I noted my changes as I went along. This recipe is a classic. I am an herb-nerd and always add more. I also am a clumsy herb-nerd so I used a Dutch oven instead of thinking I could toss the pasta well in a large saute pan. I've picked up strands of spaghetti from many unlikely places. I do acquire dictator tendencies in the last few minutes of cooking this dish. I want to be absolutely sure that the eggs are cooked so I have my bowl of beaten eggs six inches from the cooking pot. The dog and cat are removed from the kitchen so when I start adding the eggs and stirring like crazy, I don't trip on them. Nobody dares come near me to get a glass of water. I love that the recipe is a classic, "don't mess with me, straight forward, use fresh ingredients" recipe. It's a dish reserved for special occasions and it lives up to its reputation (even if it won't replace the Thanksgiving turkey, even if there is no cream). With a little heat, Parmigiano-Reggiano melts into eggs and together they are transformed into velvet. It's truly a magical dish. 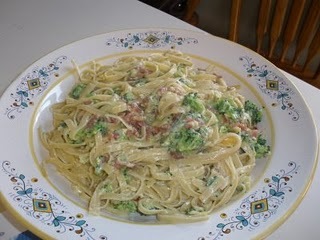 When we last made carbonara - we added broccoli. It actually worked well and wouldn't hurt. Pancetta instead of bacon? Absolultely! 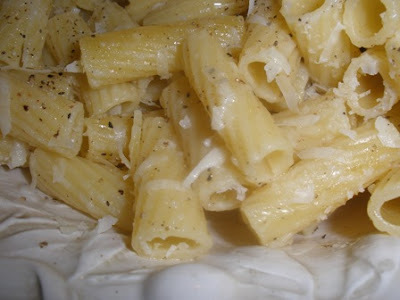 Just remember to use freshly-grated cheese, trust that the pasta will cook your eggs and please - hold the cream. 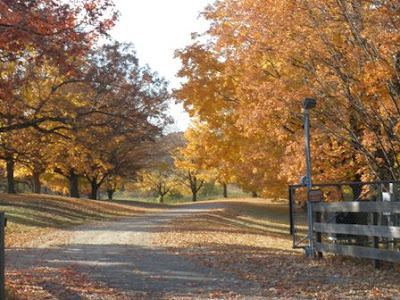 ... or a perfect autumn day. Disclosure: I was given some compesation to cover the cost of ingredients. I was not given any compensation for the blogpost. The opinions in my posting are all mine. Autumn. Time to stock up on root vegetables, make heaping pots of broth. Time for ragu. Time to spice up the kitchen. And so I gathered lentils, onions, carrots, fennel, sausage and prepared for a myriad of stews and soups. The kind of food that that makes you feel loved and warm and in need of a roaring fire and a good book. The type of food that is an embrace. And then Mother Nature shook her head and said, "Never assume, my dear. Never assume." And the temps soared to 80 degrees. It played havoc with my plans. It was a game-changer. I am used to game-changers. They peek up professionally. "Your life will change after this production/award/publication." In truth, I came home from every award ceremony and opening to, "Congrats, Mom. What's for dinner?" They are my real "life-game-changers." So when the weather turned my mealtime-game-plan around, I could scoff at Mother Nature and retort, "I can retreat back to the summer-game. What do you think I've been doing the last 3 months?" And then I cooked a whole bunch of dishes I hadn't made all summer. Sometimes I am too traditional. I buy lamb, marinate it with rosemary, garlic and olive oil and call it a day. Because it's always good. Always works, always satisfies. Makes me crank up an Italian CD and "Finicula" around the house. But the Italian cook dishing up Greek food? Pure serendipity. I still have an oregano bush and a mint bush begging for use. The Ladolemono sauce is simple. It has just enough spice to complement the lamb but doesn't overpower. 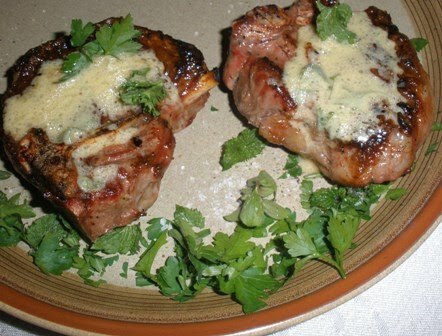 A mixture of lemon juice, mustard, oregano and olive oil - I marinated the chops in it. 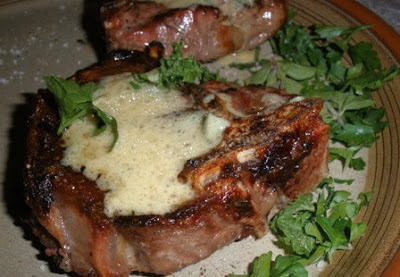 Initially was unsure about the mustard - I use mustard sauces for mild meats and fish - but lamb has a distinct taste and you don't want to cover it. But this brightened the flavor. I dressed the salad with it and when no one was looking - drank it. If I had the foresight to make a cocktail out of it, I would have. Whisk all until emulsified. 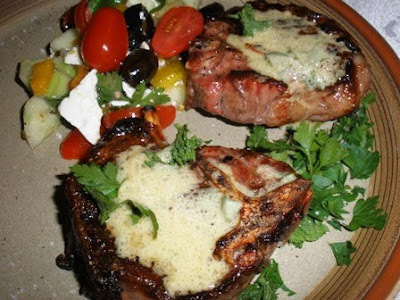 I also threw in Italian parsley and garnished the salad and lamb chops with mint. Actually, I didn't so much garnish as pour a truckload of the stuff on top. 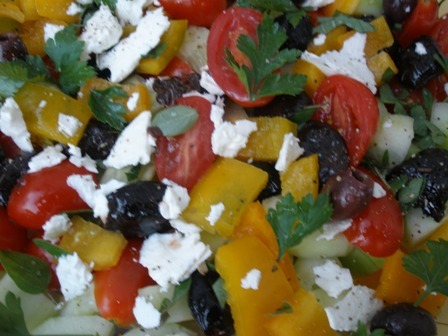 The Greek Salad was basic: kalamata olives, peppers, tomatoes, cucumbers, nicoise olives, feta and capers. I marinated the lamb chops in a bit of the sauce for one hour at room temperature. Grilled them over high heat 3-4 minutes per side (adjust to thickness of chops). You want them a bit charred on the outside but still red deep inside. Calorie Alert: Copious amounts of calories ahead - the decadent, fat-laden, heart-winning Vichysoisse! I make this soup once a year. 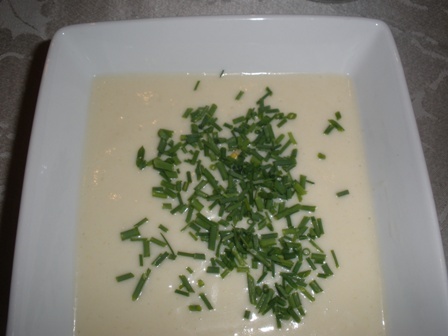 Walking through Farmers Market among freshly dug potatoes and sweetly-matured leeks, I was reminded by my children that my annual Vichysoisse soup was never made. And so it was. October may seem an odd time to make a cold soup - but when the ingredients can go from the ground to your pot in less than 72 hours, it's a temptation I cannot resist. 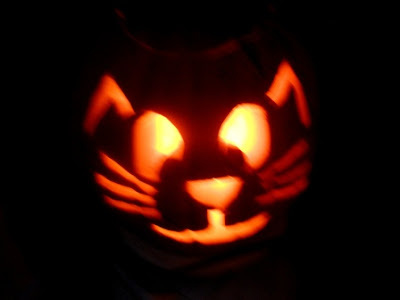 Once a year. When there are lots of people around to feed. There's a fair amount of chopping which I do by hand - you can use a processor. Everything will be pureed so you really don't need to worry about mincing or making nice, even chops. We are a chive family - as you can see it's more than a garnish for us - it's a way of life. Melt butter in large stockpot or Dutch oven. Add chopped leeks and onions and saute until vegetables soften - about ten minutes. Do not brown. You want the soup white! Add stock and chopped potatoes. 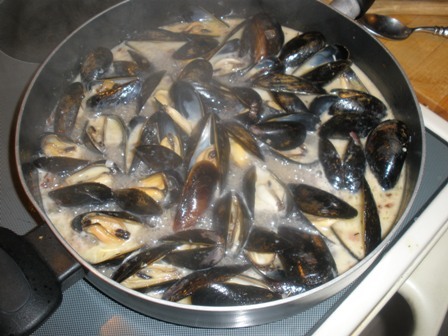 Bring to a boil, then lower to a simmer and cook for 35-40 minutes till all is soft. Remove from heat. Add milk and stir till combined. When cooled, puree in blender or food processor. Work in small batches (1-1/2 cups at a time). Put in new stockpot or return to old pot, add cream and bring to a simmer. Season with white pepper and chill it. Put in fridge and let it sit for a good 4-6 hours. I let it sit overnight. 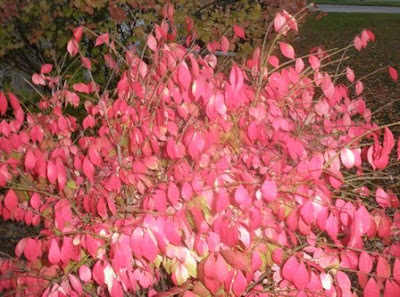 You can serve this hot - but it really sings of the countryside when cold. When cold, the soup coats the spoon in an ice-creamy way that begs for several licks. 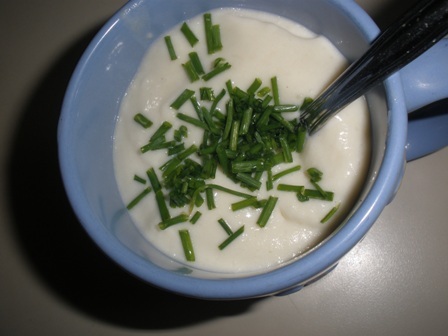 "Garnish" with chives. And share. A brief return to warm-weather cooking. The ragu can wait.